but Brittany. Important. Make no mistake. to a bald, beak-nosed, hunched-electric presence. Yes, he fought with the Germans during the war. (though I’m not sure who these justifications are for). of artichoke, to nibble at the leaves. whatever he fled, he teaches excellent French. 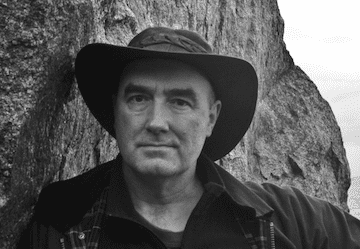 MARK GRANIER’s poetry has appeared in various journals and online publications, including The New Statesman, Horizon Review, The TLS, Magma and The Daily Poem. His fourth collection, Haunt, is due from Salmon Poetry in 2015.